Fast light tanks, nimble mediums, and precise, hard-hitting heavies; the Tech Tree to the E 100 has it all, and we’re here to discount it for you! Starting with the diminutive Pz. II, the guns only get deadlier as you climb the tree and the tanks become meaner and more massive! 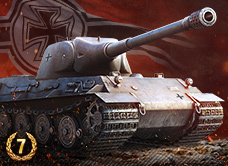 In addition to the Tiger I and Tiger II, we’ve also decided to put the VK 30.02 M and Panther on sale if sniping is your strong suit, as the Panther also leads to the Tiger II. If “Big Cats” armed with fearsome guns are the tanks you crave, fear not, we’ve got them! Cannons like the “Long 88” and 10.5 cm guns on the tier VII and VIII tanks sling shells like no other, with the thunder of the E 100’s 15 cm Kw.K. L/38 gun heralding the coming of Ragnarok! This is a tank line where the armor only gets better! While the Tiger I is more of a support tank, its bigger brothers have all the armor a stubborn tanker could need. 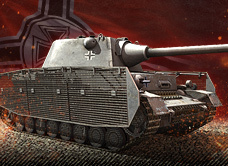 Fear not, we also have a host of Missions, Credit bonuses, and Discounts that will make any fan of Krupp Steel sing with joy! Earn 25,000 Experience while driving one of the On Track vehicles listed above. Complete On Track to the E 100 four (4) times. Complete On Track to the E 100 eight (8) times. Complete On Track to the E 100 ten (10) times.